Every year The East Tennessee Whitewater Club offers an intensive, one-week course for beginner kayakers. This year the clinic will take place Monday, June 3 through Saturday, June 8, 2019. 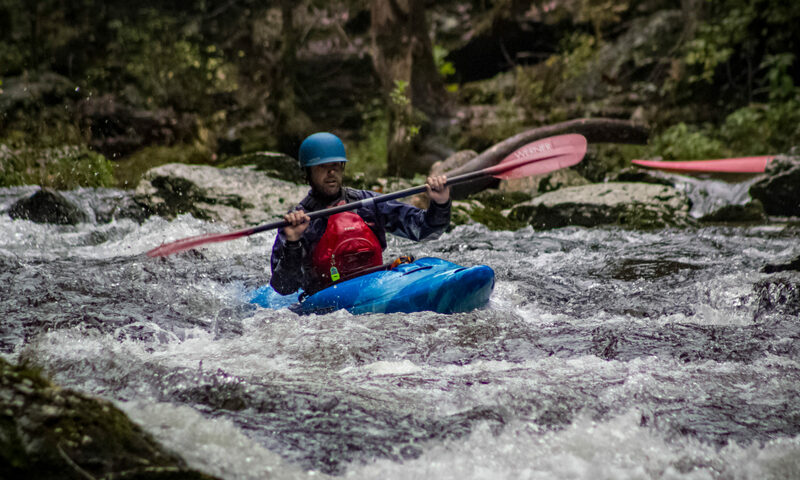 The purpose of the clinic is to teach basic whitewater techniques and safety. Whitewater experience is not required but individuals should be comfortable in water and able to swim. Equipment will be available from the club on a first come basis with a $20 use fee and a $40 deposit. Below are details for the 2019 Summer Clinic. Those interested can register and pay online or by mail. The registration deadline is May 24th, 2019. MONDAY: 6:00 P.M. until 8:00 P.M.
Social Room, Oak Ridge Civic Center, Oak Ridge Turnpike, Oak Ridge, TN. Registration, whitewater orientation, introduction to boats and gear. IMPORTANT: Bring boats and equipment for fitting adjustments and inspection. Clark Center (Carbide) Park swimming area. Individual in-the-water instruction on kayaking techniques, including paddling strokes, Eskimo rescues and Eskimo rolls. Meet at the Kroger or Civic Center parking lot for trip to Nemo Bridge on the Emory River (water level permitting) for introduction to moving water. SATURDAY: River trip location, meeting place and time to be announced Friday. Supervised trip on local whitewater river and party afterwards. FEES: The cost of the clinic is $75 for adults or $60 for students, and includes ETWC membership through the end of the calendar year. EQUIPMENT: Each student is responsible for furnishing all of their own equipment. Required equipment is: kayak with flotation, spray skirt, life vest, paddle, and helmet. Nose clips are recommended. Equipment may be available from the club on a first come basis with a $20 use fee and a $40 refundable deposit if equipment is returned in good condition. REGISTRATION: Pre-registration required, class size limited. For information email Francis Ruppel at fruppel@knology.net.